It does not matter the religion, because snow comes regardless. Snow is a staple in the winter holidays, as many of us wish for snow. People of all ages love to look at, and children especially love to play in it; often, they do not play alone. If they have animals (dogs mostly), they will chase them around in the snow. In many instances, children will hook their sled to their animals in the hopes their dog will pull them around, copying mushing. Mushing is a sport or transport method powered by dogs, which can be utilitarian, recreational, or competitive; however, for children, it is usually for fun. The household dogs, for however long, are sled dogs to children, pulling precious cargo. Sled dogs are highly trained dogs that pull a sled, a wheel-less vehicle on runners, over snow or ice. There is something that attracts children to these dogs, which is seen in the classic animated film, Balto, based on a true story. 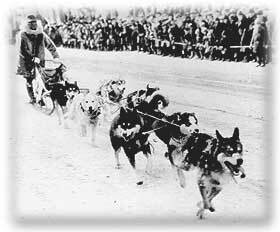 Balto (1919-1933), a Siberian husky sled dog, led his team on the last leg of the 1925 serum run to deliver the diphtheria antitoxin. Gunnar Kaasen drove Balto and the rest of the team into Nome. The husky proved himself on the trail, saving the team on the Topkok River. He was also able to stay on the trail in whiteout conditions; Kaasen commented that he could scarcely see his hand in front of his face. Kaasen and his team missed the last sled dog team and had to take the medicine twice as far. At Nome, everybody gave thanks Kaasen and Balto, who became legends. This is what children dream of when they play with their pets in the snow; however, some children are not aware of the risks that can affect your pets. Here are some winter safety tips for your animals. 1)	Keep small animals inside. Cat and small dogs, who have to wade in the snow, will feel colder sooner than larger animals. 2)	Do not keep animals outside. (Very old and very young pets are sensitive to the cold.) 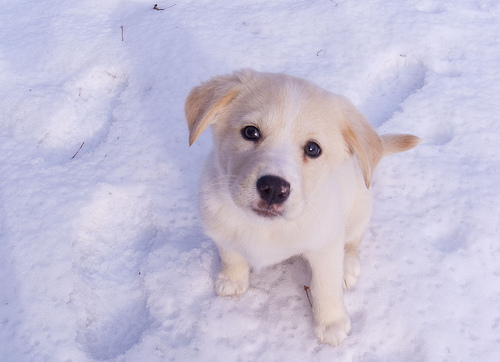 If any pets are exposed to the cold for a long period of time, they can suffer from two serious conditions: frostbite and hypothermia. 3)	Never shave your dog in winter, as a longer coat will provide more warmth. If your animal is a shorthaired breed, a sweater may be considered. 4)	Before you start the motor of your car, check under the hood. Cats can be injured or killed by the fan belt. In addition, you should never leave your animal in the car, because the car will act as a refrigerator. 5)	Any ice patches should be avoided, because pets are just as vulnerable as humans to fall. Animals, with wet paws, cannot grip, and unlike cats, dogs’ claws cannot provide them traction. They can suffer from a pulled muscle or broken bones if they were to fall. 6)	Be careful of space heaters, as the heat will be attractive to your pets. Keep an eye out to make sure that no tails or paws come in contact with flames, heating coils, or hot surfaces. Pets can burn themselves or knock a heat source over and put the entire household in danger. There are countless safety tips for your pets in the wintertime. Tips vary depending on the landscape, so you should research before letting out your pet. In addition, check with your veterinarian to see if your pet is healthy enough. If you suspect that your pet is suffering from the cold, take her or him to the vet as soon as possible. I cant imagine youre not more standard since you positively have the gift.